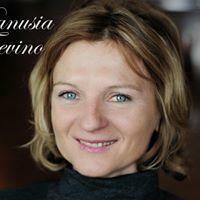 Danusia Trevino is an actress and storyteller born and raised in Poland. She is a two-time Moth GrandSlam winner and a regular teller at Moth MainStage events. She has been a part of the New York literary salon, Women of Letters; as an actress, she’s written and performed her solo show, Wonder Bread, in New York and at the Edinburgh Fringe Festival. Danusia lives with her husband Xavier in New York City.